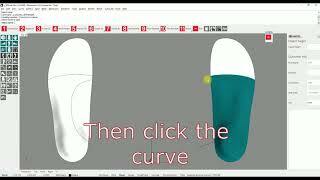 Intuitive software to design the perfect insole. 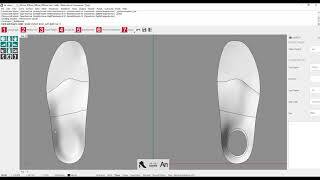 Have perfect control with you design, create a custom base pattern, add and modify elements and use a full-contact insole or an insole based on elements (Lavigne). 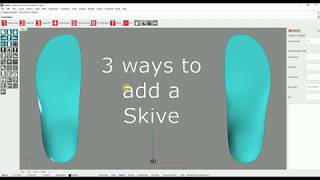 Everything can be modified to create your perfect insole. Get guided by LutraCAD's unique step-by-step user interface. Don't get overwhelmed by many buttons, we only show you the buttons which are available to use. 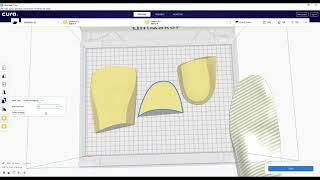 This makes LutraCAD Insole software easy and intuitive to use, even without much computer experience. Everything you design with LutraCAD can be added to your persional library. A base template, elements and even a complete insole can be used as a base for your future insole. This will improve your companies design speed. Production can go through various ways. If you own a milling machine or 3D printer you can use LutraCAD, but also if you want to design yourself and outsource the production. No need to work with third-party software, every part of the process can be managed from within LutraCAD. Start scanning with 1 press on a button. With the export button directly create CNC or 3D printer tool paths. Our expertise is software and we want you to be able to work with any scanner, printer, milling machine and outsourcing lab. Therefor LutraCAD is an open system which can load any image or 3D object into our software. We can do much more to lower your design time and production cost. A complete list of functionality can be found below.